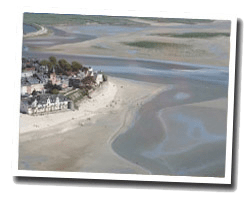 Le Crotoy is considered as one of the most beautiful villages in France, with its exceptional environment, between sea and Bay of Somme. You can find a south facing beach, a picturesque fishing port and a marina. It is a lively resort in summer that will delight those looking for a family holiday in a beautiful natural environment. In Le Crotoy enjoy a seaview holiday rental. Studio flat in a seaside residence southwest facing. balcony with outdoor furniture. Shared outdoor pool and indoor shared swimming pool in the residence. Bikes to rent. Laundry in the residence. house linen, end of stay cleaning included in price. Price from 490 € to 1200 €. 2 rooms Apartment in a seaside residence southwest facing. balcony with outdoor furniture. Shared outdoor and indoor swimming pool in the residence. Bikes to rent. Laundry in the residence. house linen, end of stay cleaning included in price. Price from 500 € to 1300 €. 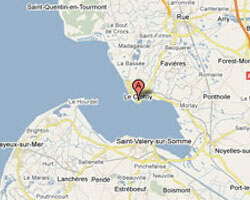 2 rooms apartment in a beautiful residence (Villa des Sarcelles) overlooking the Bay of Somme. Balcony. Close to shops. 3 rooms apartment in a beautiful residence (Villa des Sarcelles) overlooking the Bay of Somme. Balcony. Close to shops. 2 rooms Apartment in a seaside residence southwest facing. balcony with outdoor furniture. Shared outdoor and indoor pool in the residence. Bikes to rent. Laundry in the residence. house linen, end of stay cleaning included in price. Price from 550 € to 1400 €. 3 rooms duplex Apartment in a seaside residence southwest facing. balcony with outdoor furniture. Shared outdoor and indoor swimming pool in the residence. Bikes to rent. Laundry in the residence. house linen, end of stay cleaning included in price. Price from 600 € to 1550 €. Located in the Bay of the Somme, just in front of the sea, Digue Jules is a 4-minute drive from the centre of Crotoy. It offers self-catering apartments with a modern-style décor, a mezzanine and sea views. Featuring a private balcony with panoramic sea views , the independent studio Le Suffren is located opposite the beach of Crotoy , just 22 km from Abbeville. 0 Bedroom(s), 2 double bed(s). short stays possibility.